procedural texture : vertical lines --> how to ? I want to make a very simple texture, all procedural (see attached image). The closest way I found was to use a wood texture, then I change its size in the “position” tab (like setting w=1 z=1 y=100). But I want to avoid changing those values, in fact it has to be made all in the “texture” tab. You can adjust line width with the colorband. 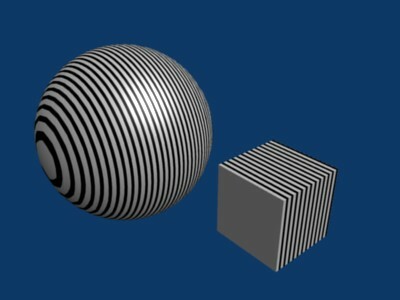 To fine-tune per object, scale texture space (Tkey in object mode). I’m afraid I was not very clear with my question : in fact I have to find a way to make those vertical lines without touching the mapping or the size of the texture. 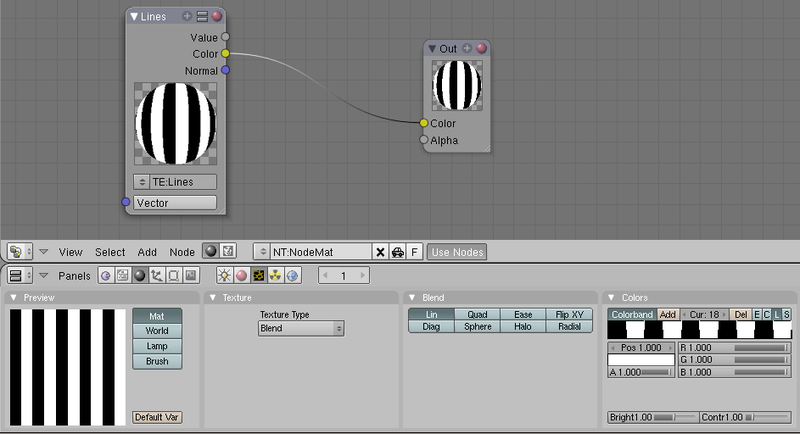 I need that texture for the nodes composite, and you correct me if I’m wrong but you can’t change those values in composite nodes. So the lines must be verticals right from the start. The only thing I could think of to produce vertical lines procedurally is a blend texture with heavy colorband usage, but I guess you already tried that. Setting this up if you need more than a few lines is really cumbersome, but I don’t have any other idea right now (besides implementing a “rotation” attribute for procedural textures). Good luck with tackling this, and please let us know if you find a good solution! but I don’t have any other idea right now (besides implementing a “rotation” attribute for procedural textures). I have a new build of Blender (Windows version of BeBraw’s giant build) and it has a rot. 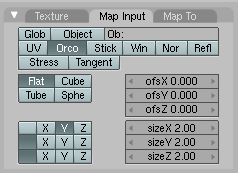 panel in the material mapping options, unfortunately it does the exact same thing as offsetting the texture for now.